No scarring. No downtime. Get back to your life! EVLT can be life changing! The 78 year old mother of one of our physicians had difficulty walking because of varicose vein pain. An EVLT was performed on a Tuesday. Just four days later she walked with her granddaughters from the Lincoln Memorial to the Capitol Buildings (in Washington DC), over 4 miles, without any pain! 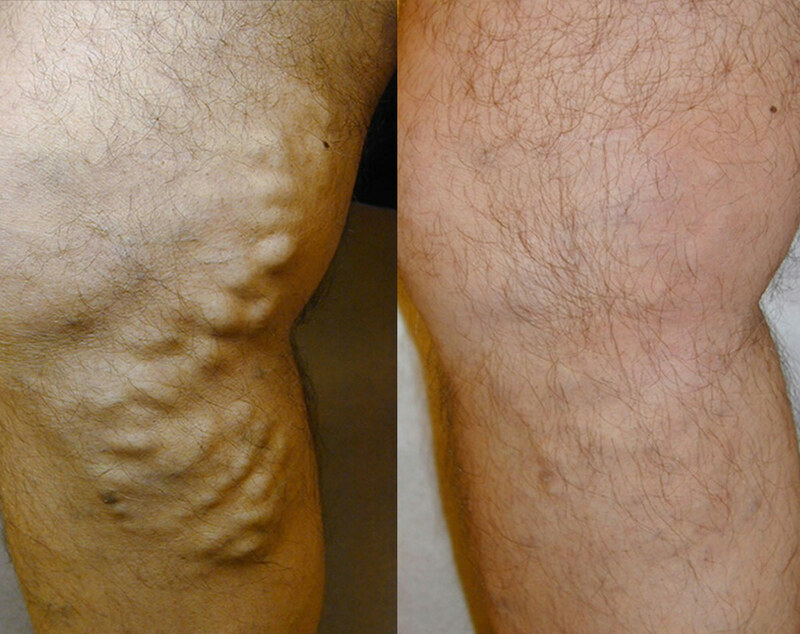 Varicose veins are caused by weakened or strained veins in your legs. When these veins are unable to properly deliver blood back to the heart, they become inflamed and twisted, and eventually making their appearance on the surface of your skin. The expertly trained staff at Baywood Clinic consists of board certified Surgeons and Physicians who all have a wealth of experience treating the most stubborn of varicose veins, in a safe and comfortable manner. EVLT is a safe procedure for large, bulging varicose veins, in which a laser fiber is gently placed inside the vein to seal it. In addition to eliminating the appearance of unattractive varicose veins, EVLT can also help treat the associated symptoms, like heaviness, swelling, itching, aches, and pains. If you have been told you need stripping, there is very likely an alternative. EVLT provides you with a new way to eliminate varicose veins that will not scar your legs! With EVLT there is no real downtime, as you can begin normal activity right away! There’s no doubt about it, EVLT is the most effective way to make varicose veins disappear. EndoVenous Laser Treatment (EVLT) is a quick, minimally invasive laser procedure that has shown a 98% extraordinary success rates, providing relief from painful and unsightly legs to people suffering with varicose veins. At our Toronto EVLT clinic only, Board Certified Surgeons perform the procedure in a College of Physicians and Surgeons approved Facility. Our Surgeons have taught EVLT procedures to Physicians around the world! They successfully perform over 25 cases every month! Visit us for expert diagnosis and treatment. EVLT is a new procedure that takes about 45 minutes. 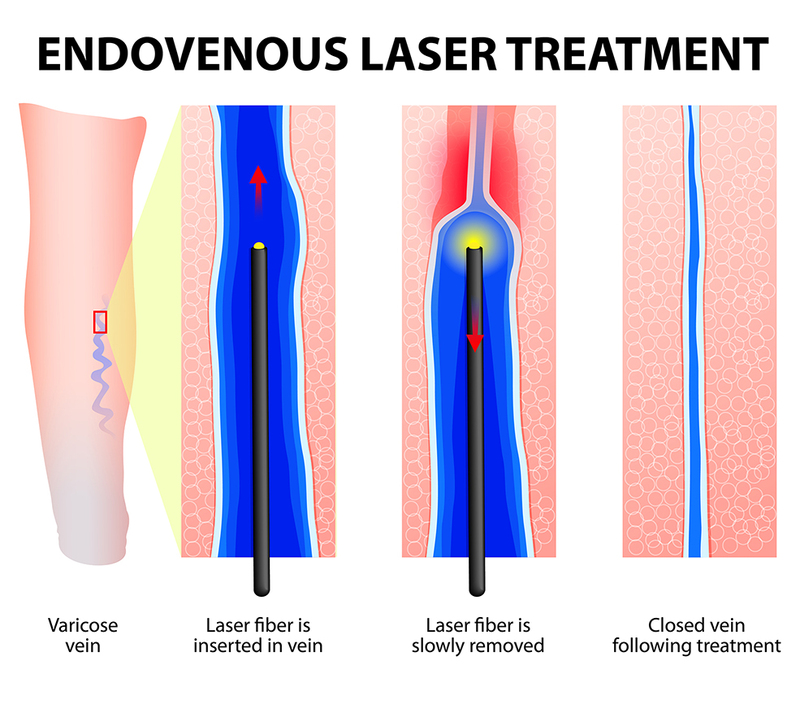 EVLT uses laser energy delivered in a thin, unobtrusive fiber-optic probe to treat the underlying cause of the varicose veins. Performed under ultrasound guidance, the procedure uses strictly local anaesthetic. Before the laser procedure takes place, you will have a consultation with one of our board certified doctors.This consultation will include a physical examination of the leg and a Doppler ultrasound examination to map the exact location of the vein you wish to be treated. Once you have determined that you’d like to move forward with the procedure, the doctor will make an appointment for the procedure itself. 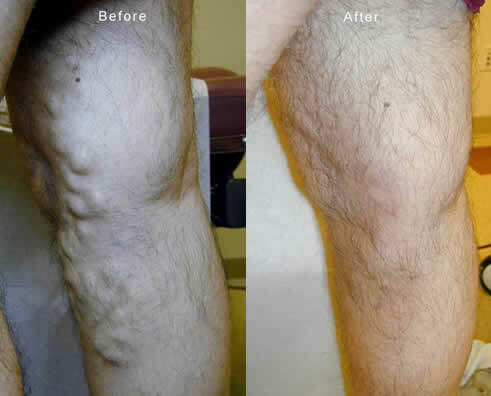 During the procedure a thin laser fiber is inserted into the abnormal varicose vein, delivering the painless laser energy in short pulses through the problem vein. This laser energy is closing off the vein to any future blood flow, effectively preventing the reemergence of the same varicose veins. Your body will naturally use other healthy veins to return blood to the heart. The fiber-optic probe is then withdrawn from the body. You may experience some minimal discomfort during the procedure. What should I expect after the laser procedure? After the fiber-optic probe is withdrawn by your doctor, a compression stocking should be worn for 7 days. You may and should walk immediately after the procedure to stimulate the flow of blood. We encourage normal daily activity and only vigorous activity or visits to the gym should be avoided. You may have some bruising and soreness for 7-10 days after the treatment. You will be allowed to take over-the-counter non-aspirin oral pain relieving medication as needed. Early results have been extremely favorable with success rates as high as 98%, without the complications of surgery. EVLT will normally treat the cause of most varicose veins but additional or complementary therapy may be necessary in some cases. Our physicians will be able to provide the follow-up therapy for these minor cosmetic veins. 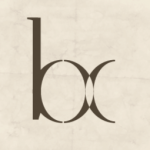 Insurance coverage varies from plan-to-plan. Our Toronto EVLT office will be able to assist you with insurance and payment questions. OHIP does NOT cover EVLT, however.